A Sri Lanka versus Pakistan virtual quarter-final was always likely to be an intriguing encounter with an unpredictable outcome – in the end Pakistan scraped through, thanks to some woeful lapses in the field from Sri Lanka and a really gutsy 61 not out from Sarfraz Ahmed. 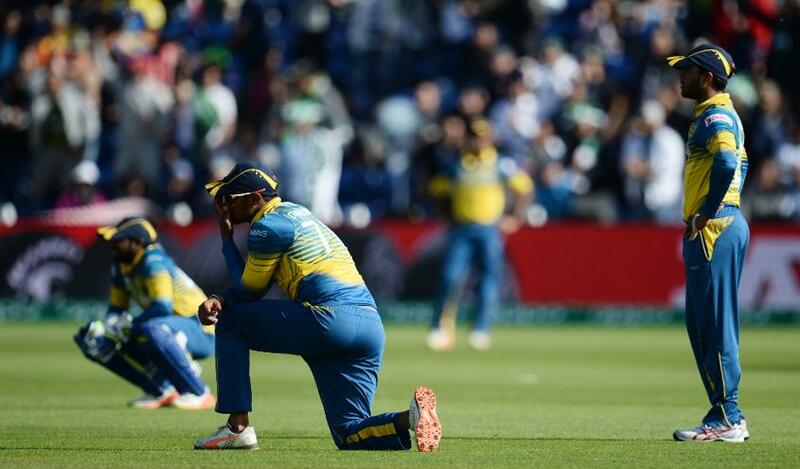 It was a fantastic low-scoring game of cricket, full of twists and turns as both teams made plenty of mistakes, but ultimately Sri Lanka made more mistakes and it ultimately cannot claim it deserved a victory. At one stage, Pakistan’s triumph appear unlikely after a brilliant spell from Nuwan Pradeep, who has been the most threatening of the Sri Lanka bowlers throughout this tournament. Bowling with heart and aggression, he dragged Sri Lanka back into a game it looked set to lose with Pakistan 76-0, while chasing a modest 236 all out. It collapsed to 162 for seven and it looked like Sri Lanka would once again rise to the occasion in a major ICC event. When you are defending small totals, even if playing on a pitch with a little help for the bowlers, you need to take all your chances and Sri Lanka missed far too many opportunities. Lasith Malinga should have had Azhar Ali out in the first over for a duck. He survived a run-out chance in the next over and went on to score 34, while adding a 76-run opening partnership. Then later, more crucially, Sarfraz’s victory charge should have ended on 38 when he misread a Malinga slower ball. Thissera Perera dropped the simplest of chances and he’ll be hurting really badly as the team returns home. Sri Lanka missed far too many opportunities in the field. Sarfraz gave one final chance two runs later, Seekuge Prasanna dropping a harder tumbling chance in the deep, but then took the game away from an increasingly ragged Sri Lanka. Earlier, Sri Lanka had started strongly with Niroshan Dickwella and Kusal Mendis combining so effectively at the top of the order, carrying Sri Lanka to 82 for one. Dickwella was particularly impressive. 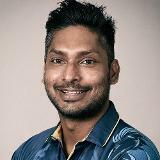 He is a very organised and skilful player who has a very bright future for Sri Lanka if he continues to develop. The fact that his 73 came from 86 balls with just four boundaries just shows how intelligently he played. Pakistan created panic with a mid-innings collapse, inspired by the aggressive Hasan Ali. His confidence seemed to be ski-high after his brilliant three for 24 against South Africa and he found a great rhythm. Angelo Mathews again showed how critical he is to this Sri Lanka batting line-up, rebuilding the innings with Dickwella with some authority. Sri Lanka look a completely different team when they have him in the middle-order. Sri Lanka look a completely different team when they have Angelo Mathews in the middle-order. Angelo’s dismissal prompted a late collapse before Asela Gunaratne once again showed impressive maturity in the lower middle-order. Unfortunately for him, he was handicapped by batting with the tail. Helped by Suranga Lakmal’s 26, Sri Lanka limped to 236. It could have been worst, but still a par total was 250+ and they looked in trouble. With better fielding, a problem for a while now, Sri Lanka might well have conjured up a surprise victory for that weak position. Instead, it is left ruing very costly mistakes in very critical moments. Pakistan will be thrilled with the manner in which it has battled its way into a semi-final berth with England. It was thrashed by India in its first game, but has showed character and fierce spirit to overcome that and win against South Africa and Sri Lanka. The tournament is left with three Asian teams in the top four, an outcome predicted by few before the tournament begun. I certainly did not expect Bangladesh and Pakistan to qualify, but credit to them for doing so. They deserve their places. © ICC Business Corporation FZ LLC 2017. All rights reserved.